We gotta pet duh kitty! 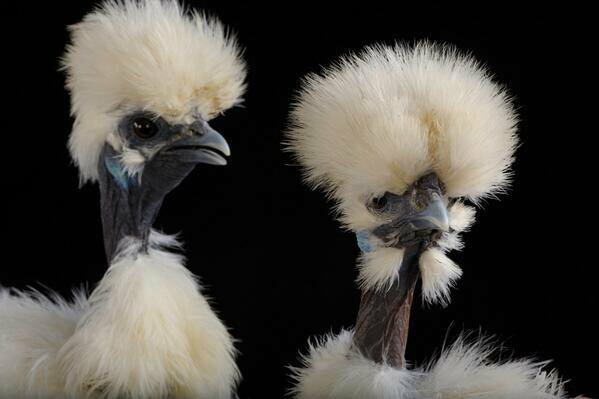 The silkie chicken has fluffy plumage which feels like silk. It also has black skin & bones and blue earlobes!